PTI leader secure­s 77 out of 118 votes; Asad Qaiser admini­stered her oath . 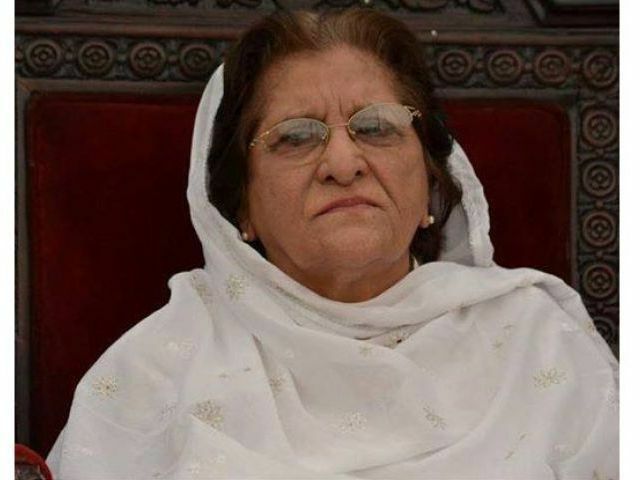 The Khyber-Pakhtunkhwa Assembly on Tuesday elected Dr Mehar Taj Roghani as its first-ever woman deputy speaker. Roghani, who was the nominee of the treasury benches and belongs to the ruling Pakistan Tehreek-e-Insaf, is a lawmaker from Mardan. In her speech, Roghani thanked the opposition, the treasury benches and Chief Minister Pervez Khattak for putting their faith in her. “My figure in the house would be like that of a mother. I will treat everyone equally,” she said. The new deputy speaker vowed to eliminate gender discrimination in the assembly. Roghani bagged 77 votes from the 118 MPAs who voted, thus capturing more than the required half of the house’s approval. The opposition’s nominee, Arbab Akbar Hayat of the Pakistan Muslim League-Nawaz, managed 37 votes. Three PTI members including Ziaullah Afridi, Amjad Afridi and Maliha Ali Asghar Khan did not cast their votes, while Qaumi Watan Party’s Bakht Baidar Khan’s ballot was cancelled as he showed it while polling. The opposition candidate Hayat and his polling agent, Sobia Shahid, raised objections over Baidar’s action and the polling process was stopped for a short interval. It was after the vote was cancelled that matter resumed. Prior to Baidar, PTI lawmaker Arif Yousuf also showed his vote before putting it into the ballot box which created a stir as Sobia Shahid objected. This prompted the speaker, Asad Qaiser, to announce that if any vote was shown it would be cancelled. The speaker announced that four votes had not been cast as three lawmakers failed to show up while the PK-95, Lower Dir-II seat is still vacant. The assembly’s acting secretary, Kifayatullah Khan Afridi, repeatedly called the names of the three absent members before counting started. 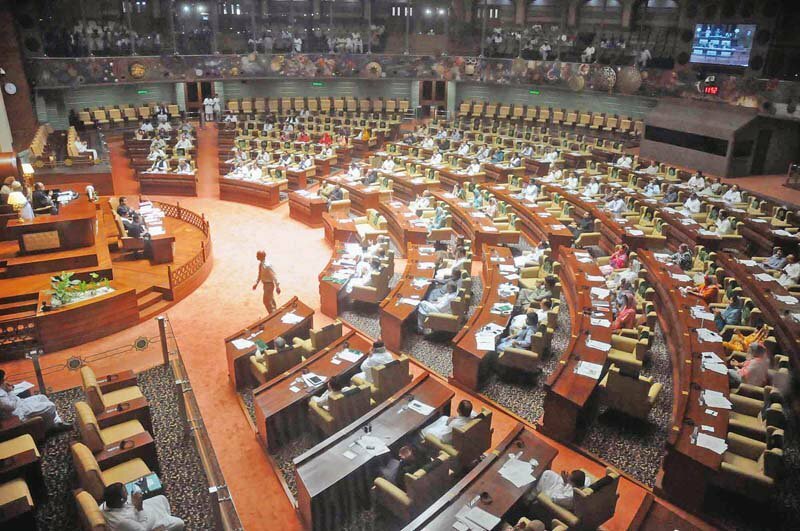 Qaiser thanked MPAs for maintaining the decorum of the house and conducting smooth elections without any dispute. He then administered Roghani’s oath. Akbar Hayat, in his speech, congratulated Roghani for her election as deputy speaker. He thanked opposition parties for nominating him as their joint candidate for the slot. “In the democratic house, PTI won but it was the opposition that was united in the true sense of the word. Opposition leader Maulana Lutfur Rahman of Jamiat Ulema-e-Islam-Fazl and Nighat Orakzai of Pakistan People Party criticised the government for their behaviour in Monday’s session over an adjournment motion. They said it was the first time in the history of the house that an adjournment motion of a member was defeated. Orakzai congratulated Roghani for her victory. “We expect that Roghani, being a woman, can end gender discrimination often practiced in the house,” she said. Roghani belongs to the Sawal Dher village of Mardan. She was born in 1942 and after completing her MBBS, joined the health department of K-P. She also got a diploma in Child Health from Glasgow and was counted among one of the few highly experienced paediatric specialists of K-P.
She was also active in sociopolitical circles and involved in efforts to streamline the delivery of health services and safeguard human rights. She served as K-P minister for health during Pervez Musharraf’s military regime from 2000-2002. She was also caretaker health minister in 2007. She had formally joined PTI in 2010 and was nominated as MPA by the party on reserved seats for women. She was named adviser to the chief minister soon after PTI came into power after the May 2013 general elections. Published in The Express Tribune, December 23rd, 2015.